Waste incineration is a method of waste disposal that still occurs throughout Europe despite its highly negative effects on air quality and human health. Specifically, waste incineration creates toxic emissions and hazardous ash, poses significant health risks, and releases greenhouse gases, and is often forced through municipalities regardless of strong local public opposition. It competes with recycling initiatives because accounting is based on exaggerated estimations of future quantities of waste, which removes incentives for waste reduction. All of these components raise red flags for environmental sustainability and justice. Because waste incineration so heavily impacts communities, it is strongly contested by local people and sometimes (though not nearly often enough) receives media attention. As part of the annual EJOLT meeting in Rome last month, there was a “toxic tour” that raised public awareness about some of Europe’s most horrifically polluted sites due to poor waste management. Many journalists shot footage for documentaries and wrote articles, and activists staged protests and demonstrations. An incinerator in India funded by the CDM has also been featured in an EJOLT documentary that shows how local waste-pickers are losing their livelihoods. In another case, local campaigners in Worcestershire have brought a case to the European Parliament, alleging that rights declared by the Aarhus Convention have not been upheld. They claim that a waste processing plant that has approval from Worcestershire County Council breaks EU laws—the council failed to provide full access to information and to prioritise recycling over incineration. Michael Cashman MEP has been listening to their case presented in Brussels and does not believe local residents have been treated fairly throughout the process. The European Parliament’s petitions committee have decided to leave the case open, and the European Commission has asked for more facts on the case before it can judge whether or not the rules have been breached. Currently, the United Kingdom Without Incineration Network (UKWIN), a network of organisations that oppose the incineration of waste, is working in conjunction with others to gather and collate examples of UK citizens’ Aarhus rights having been violated in relation to waste incinerators and associated matters (e.g. waste contracts). Access to justice on environmental matters: the right to review procedures and to challenge public decisions that have been made without respect for two aforementioned rights or environmental law in general. Faulty waste management and human rights violations based on environmental inequality have the European Commission’s attention, as shown by the open Worcestershire case, which is why it’s necessary to back up claims with more examples—as soon as possible. UKWIN is looking for examples that could be developed into case studies to be organized and submitted to the European Commission to inform their investigation into whether or not the UK is upholding citizens’ rights under the Aarhus Convention. Have you or your campaign group experienced a significant delay in gaining access to environmental information that prejudiced your ability to access environmental justice and/or participate effectively in environmental decision-making? Have you or your campaign group ever been prevented from participating effectively in an environmental decision-making process, e.g. because a decision was made behind closed doors and/or relevant information was not released? Do you feel that you or your campaign group has been denied access to justice, e.g. because time (and/or money) ran out before you had the opportunity to challenge a decision in the courts? If the answer to any of these questions is yes, then UKWIN wants to hear from you. Our campaign group MRAPP (Monklands Residents Against Pyrolysis Plant) have been campaigning against the developer Simon Howie since 2009. North Lanarkshire Council refused planning permission, developer appealed & DPEA overturned council decision & 6000 objectors. Campaigners were not able to be present at pre-enquiry meeting held by DPEA, who refused to reconvene at a later date. On evening prior to actual DPEA Hearing, the Scottish Govt announced changes to waste regulations, placing campaigners at a disadvantage and rendering their precognitions ineffective to a degree . Again DPEA refused our requests to reconvene. Council – urged by 6000 objectors – took case to Court of Session outer house, then Court of Session inner house, decision to approve was upheld. Campaign group are unfunded and unable to progress further, despite Council support. Clear inconsistencies in Scottish Govt Ministers’ decision making process – our council is Labour held, whilst Perth is the power base of three of the SNP’s high profile MSPs John Swinney, Pete Wishart and Roseanna Cunningham, similar proposal for plant refused by Ministers in Perth recently. NLC recycling rate at the time of planning submission (consistently one of highest in Scotland) was higher than Perth. SNP’s Pete Wishart referred to Perth proposal as a pollution belching monstrosity, yet Ministers refuse to revoke planning for Monklands incinerator. Citizens rights are being overuled by Scottish Govt. and local council and democracy undermined. Your comments about Waste-to-Energy facilities reducing or hampering recycling are not accurate. The leaders in recycling, the Netherlands and Germany, have both used WTE’s for some time. That blows a big hole in your comments. You allege that WTE produces toxic emission’s, is it within the environmental permitted level? If it is, then get the emission standards altered so it applies across the board. I presume the reason for your plea for help is because you can’t prove your arguments. Is that correct? It may be true that the waste pickers in India may be losing their Job (not agree or disagree).. a lot of livery stable workers lost their jobs when the vehicles and trains come in too. So did a lot of the marathon runners who carried messages back and forth in Sparta. If you are fighting to retain your rights- then I support THAT.. and stick to that point. I stand by the statements made in the article. Some European countries have indeed been heavily investing in incineration for a long time, and as a result they have ended up with costly incineration overcapacity, suppressed recycling rates, and huge levels of waste per head. These European countries are relying on importing waste from abroad to keep their incinerators burning. Even if some countries have above-average recycling rates and above-average incineration rates, that does not mean that the recycling rates in those countries would not be higher without incineration, and it does not mean that the incineration capacity will not harm future gains in recycling and waste prevention in those countries. The lesson from Europe is therefore to move away from incineration. Last year the European Commision stated that “…the UK should look to reuse and recycling and not to overcapacity of incineration – Countries like Denmark and Switzerland are burning much more than they should and that’s not good”. Denmark’s November 2013 waste strategy is subtitled “Recycle more – incinerate less”, with the Danish Minister for the Environment’s Foreword stating that: “We incinerate an enormous amount of waste in Denmark; waste which we could get much more out of by more recycling and better recycling”. There are some quite simple mechanisms for incineration to harm waste reduction and recycling. Incineration is expensive, and if a local authority pays for the availability of incineration capacity (as is often the case with long term waste management contracts) then they reduce the financial benefits of reduction, re-use and recycling. 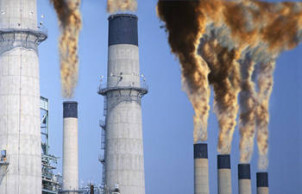 For example, if they have tied themselves to an incinerator then instead of investing in the separate collection of food waste saving them money compared to landfill, it might end up costing them money because they’d need to pay for the unused incineration capacity that would result from the reduction in residual waste arisings. Indeed, Nottinghamshire County Council made it clear that they would not even consider food waste collections because of their incinerator plans, and that if planning permission for their incinerator were refuse then they would react by looking into increasing recycling rates. Often we do not know the extent to which emissions are within the permitted level because of insufficient monitoring requirements. UKWIN would like to see stricter limits and better monitoring and enforcement for toxic emissions such as dioxins. I agree with Shlomo that even if some countries have above-average recycling rates and above-average incineration rates, that does not mean that the recycling rates in those countries would not be higher without incineration. Often we do not know the extent to which emissions are within the permitted level because of insufficient monitoring requirements.